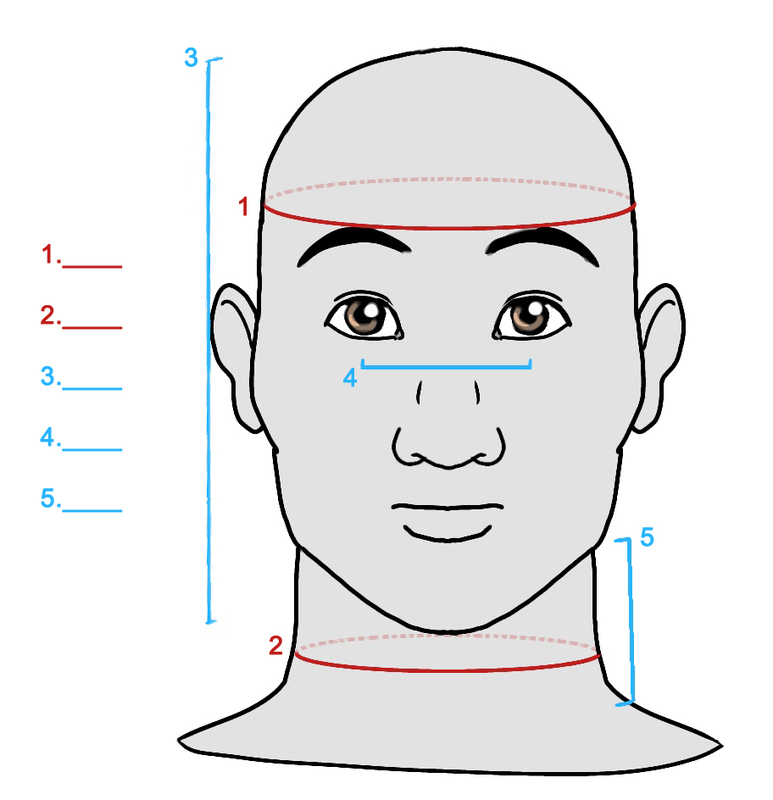 Below are diagrams for how to measure. Please be honest while measuring yourself (do not give your garment size, do not edit your body size). 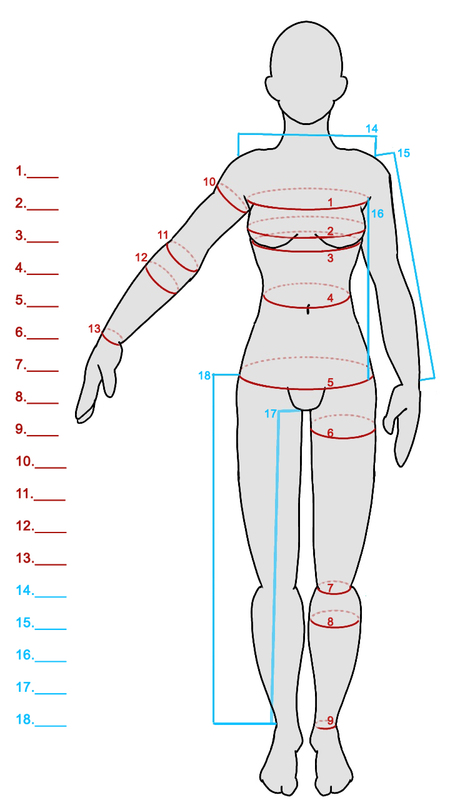 If you are worried about a part being too tight please tell me but still measure your body properly. If you want to shave a few inches off or add onto your measurements because you plan on working out or losing weight please just order at a later time instead. Have a friend to help you measure. Make sure to triple check all measurements! Please list measurements in inches and round up to the nearest 1/4 inch.